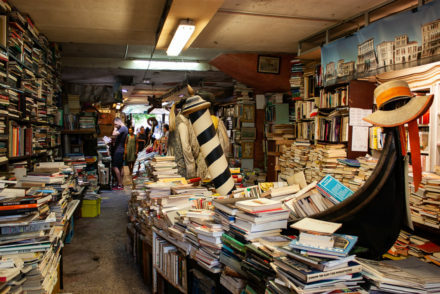 Do you agree that one of the very best ways to get to know a city better is to walk and eat your way through it? It’s a win-win situation, as you get to walk off the calories from all the food you eat, while tasting food and experiencing the local culture first hand. 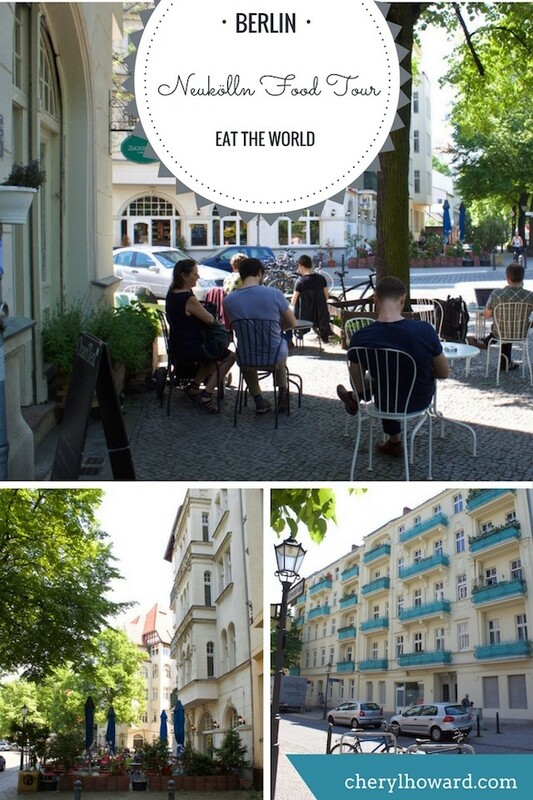 In an effort to get to know Berlin a little bit better and provide even more tips about things to do in Berlin, I partnered up with eat-the-World to do their Berlin Neukölln walking food tour. A small group of us met up with our enthusiastic guide Adrian early in the afternoon. 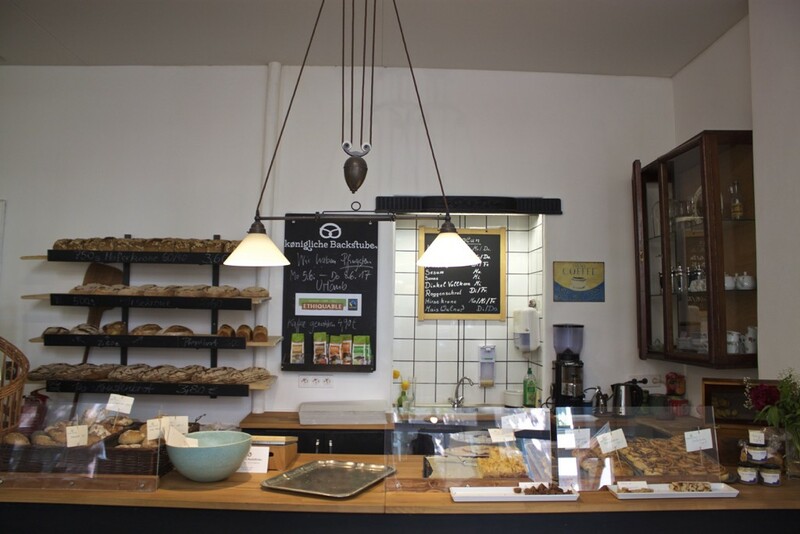 Our tour would last three hours and would not only have us tasting food from seven local shops, but also exploring the Rixdorf area in Berlin Neukölln. 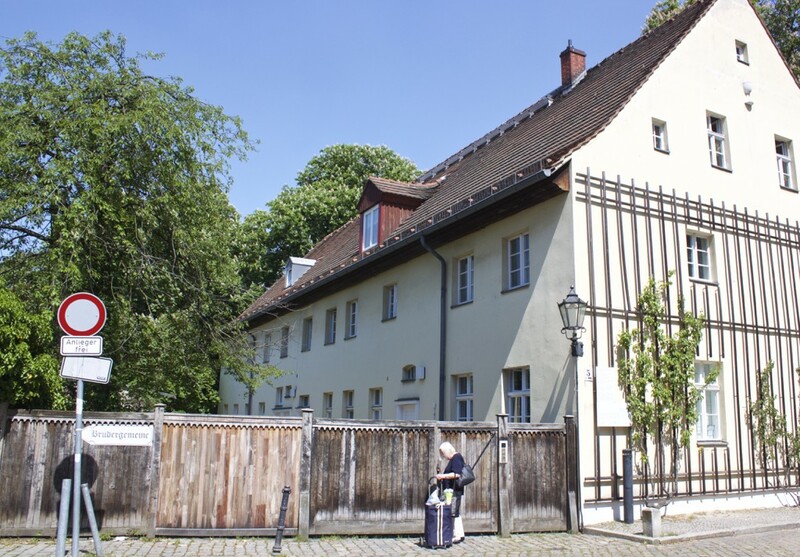 Rixdorf was once a Bohemian village, settled in 1737 by a small group of Moravian Protestants. Well-preserved pieces of this history can still be seen in the neighbourhood today, be it grand villas, half-timbered barns, a 19th century schoolhouse, and even a blacksmith. A fun fact? The neighbourhood plays host to an annual hay bale rolling contest! 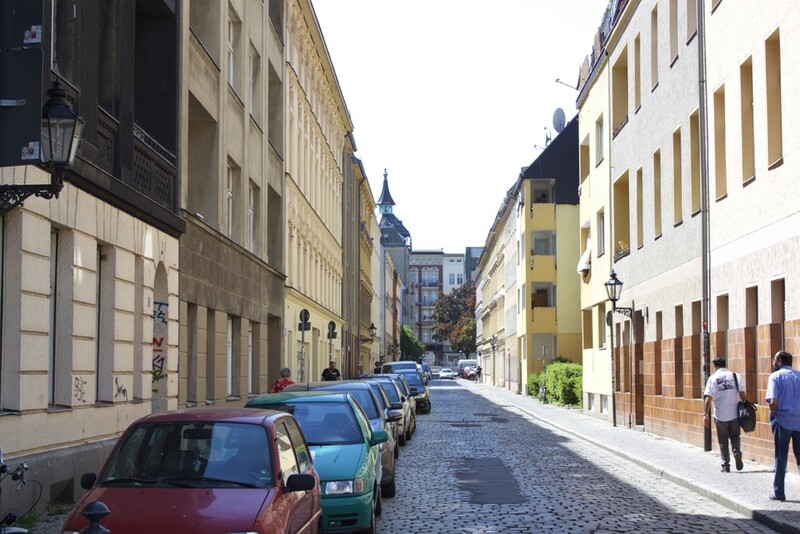 It’s hard to believe that this lovely residential neighbourhood is within such close proximity to the bustling Karl Marx Str. and Sonnenallee. Recommended Reading: This Guide to Rixdorf from Berlinsko. 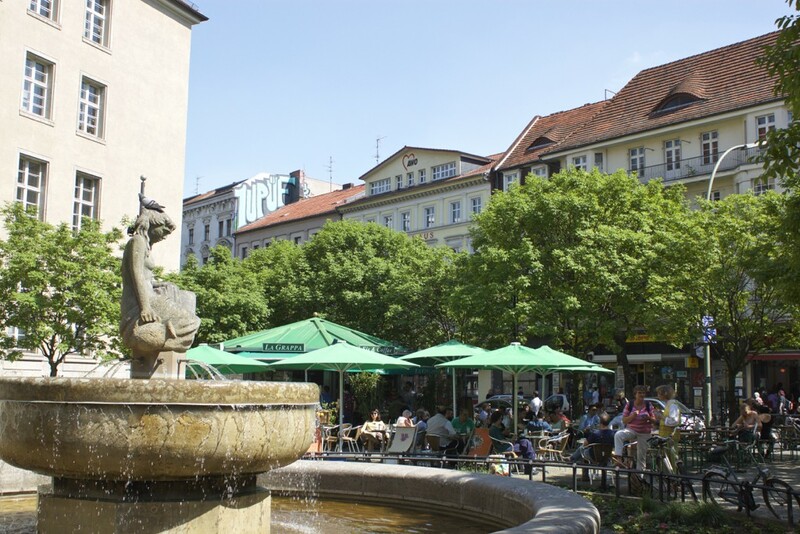 Our tour started at Richardplatz, a wide square that was once the heart of Rixdorf. 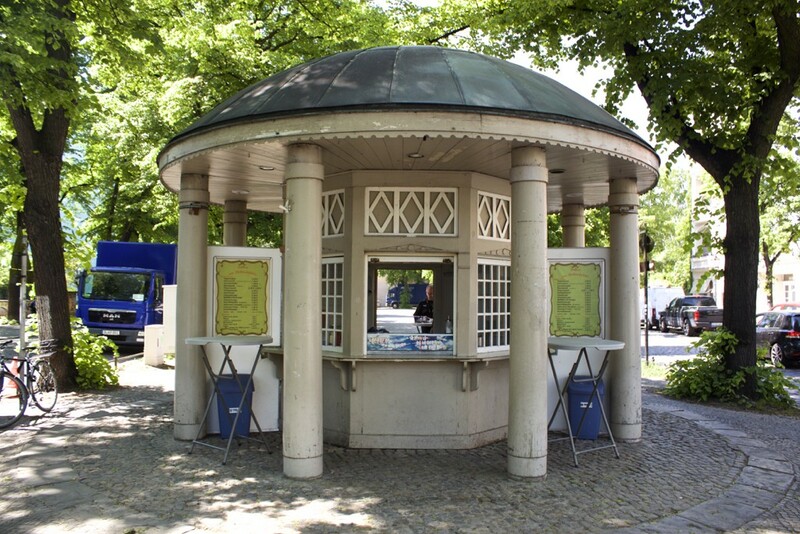 We met at this old kiosk (Richardplatz 6), which remains popular with locals who stop by for sandwiches and other snacks. 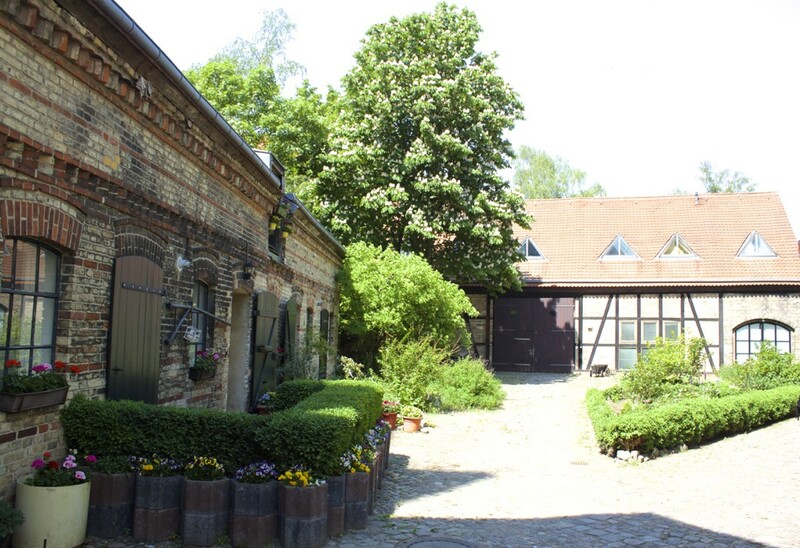 In a contrast to other areas of Berlin, many of which are a non-stop party or under constant construction, the calm and quiet Rixdorf area almost feels like a quaint village in the German countryside. I snapped a few photos of the spring flowers, Altbaus, and outdoor cafés as we made our way through the neighbourhood. 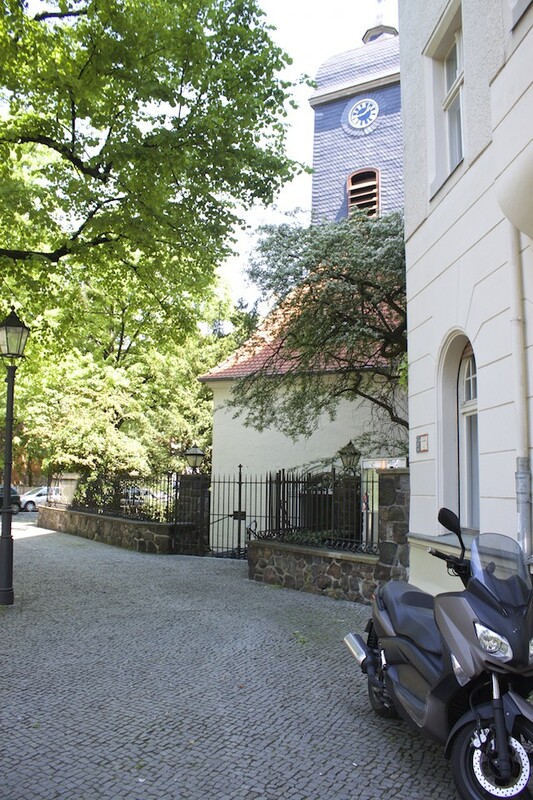 The Bethlehemskirche (Richardplatz 220),built in the late 17th century, plays host to the occasional choir concert. 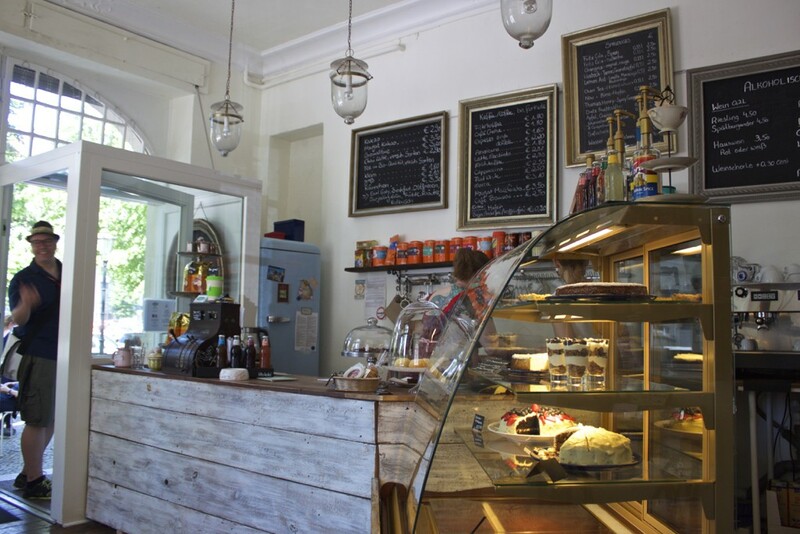 Zuckerbaby Café & Deli (Richardplatz 21) is a cozy café owned by sisters Jill and Tanya Hennicke, daughters of a German/American couple. The two of them whip up their dishes with care, many of which are based on old family recipes. For North American expats who miss sweets from home, Zuckerbaby doles out New York cheesecake, cookies and cream cake, and even cinnamon buns. 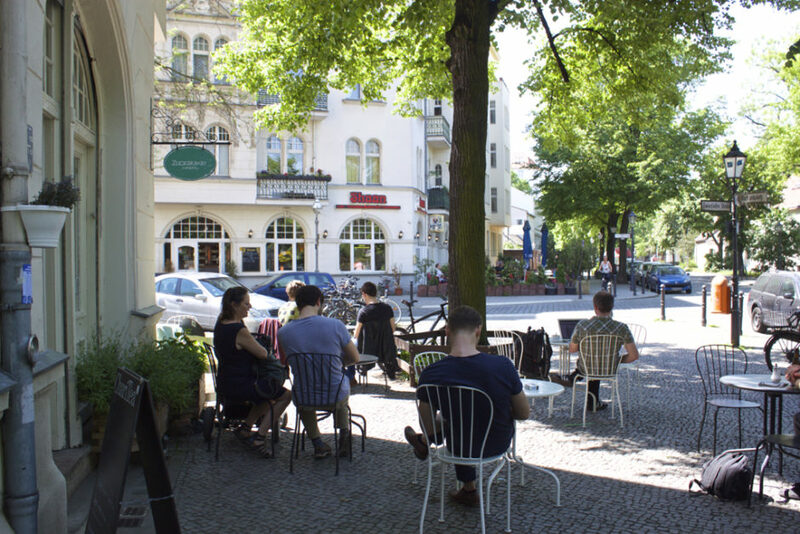 During those all too few warmer months in Berlin, sit outside and enjoy the view. 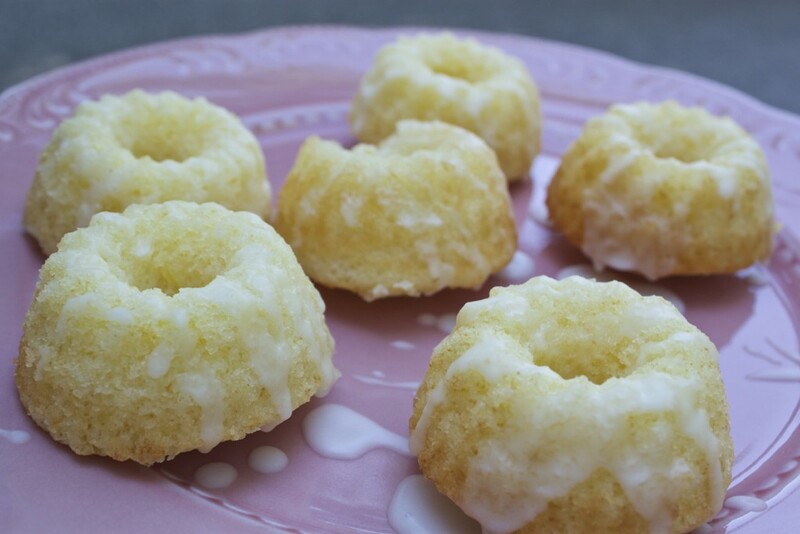 Our snacks from this location were these heavenly little lemon cakes, which were fresh, moist, and not too sweet. Bakery, Königliche Backstube (Zwiestädterstr. 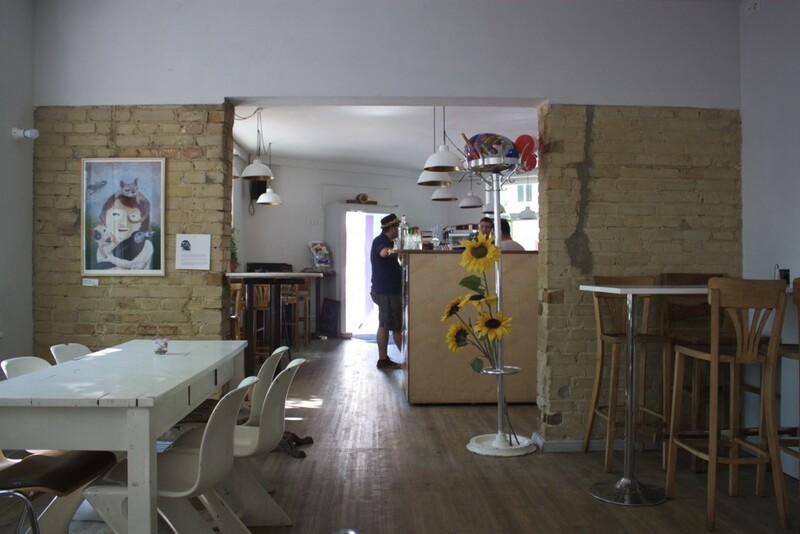 10), opened its doors in 2016 and serves up some of the very freshest, most delicious, homemade bread in all of Berlin. 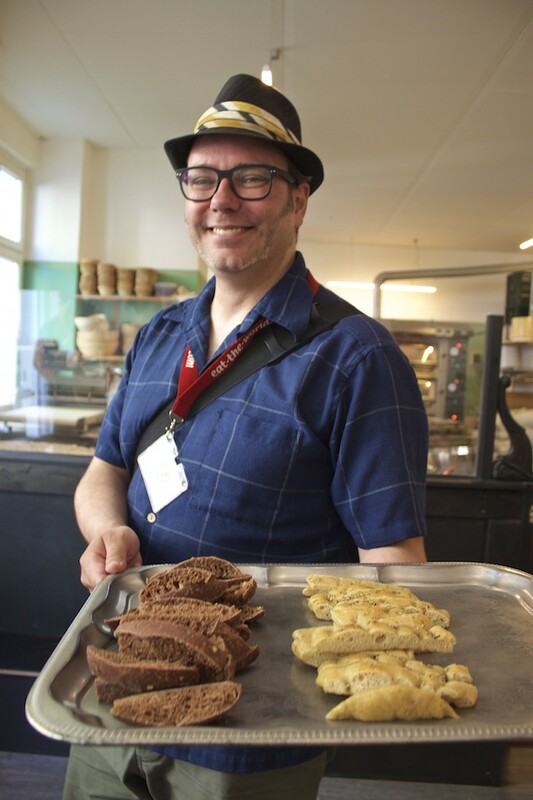 Owner Michael Köser, also a master baker, cares about his craft. He follows a process of “slow baking” with the belief that when things take time to make, they yield the very best quality and flavour. Here’s Adrian, our guide, presenting the bread we tried – some focaccia bread lightly sprinkled with rosemary and a darker, somewhat sweet bread with hints of chocolate. 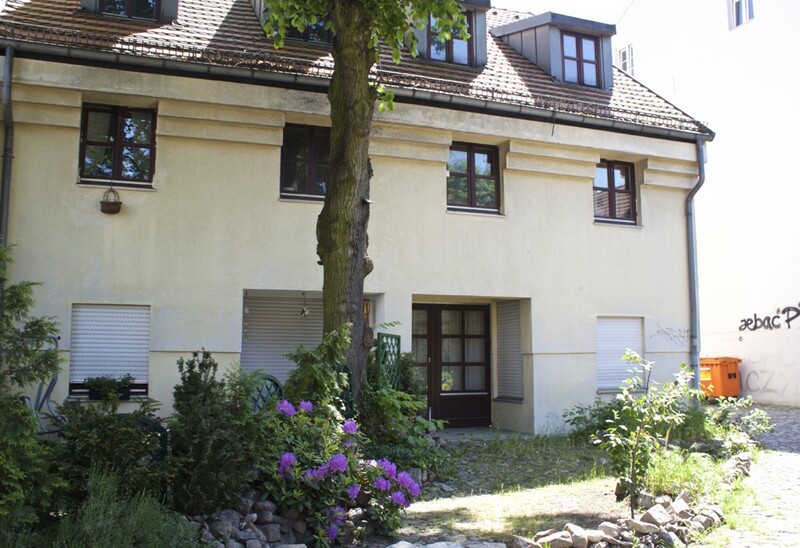 Find the entrance to this residential courtyard (Richardplatz 32A) and take a walk through to see the beautiful gardens, half-timbered buildings, and more. 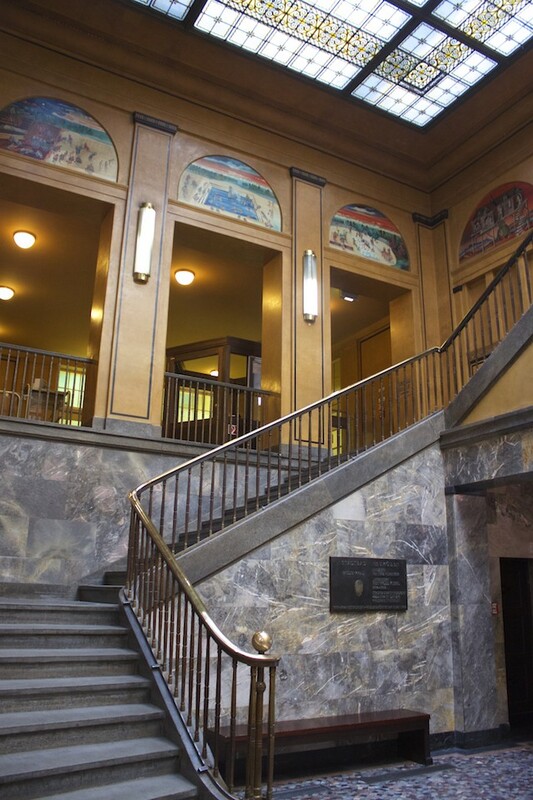 It may seem like a private residence, but it’s open to the public. 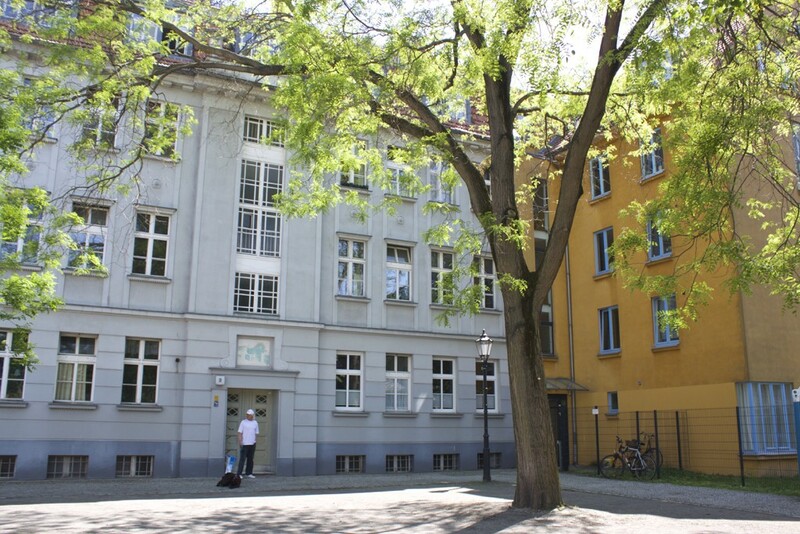 As our eat-the-world walking and food tour continued through Berlin Neukölln, we came upon even more historic points of interest, with the first being the Museum im Böhmischen Dorf (Kirchgasse 5). 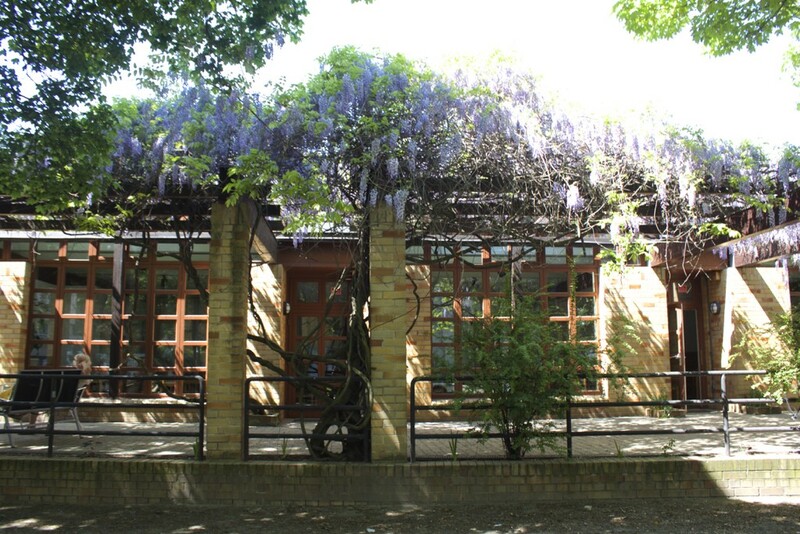 Housed in a former Czech schoolhouse, it’s now a museum with a permanent exhibition that depicts the Bohemian roots of Rixdorf. 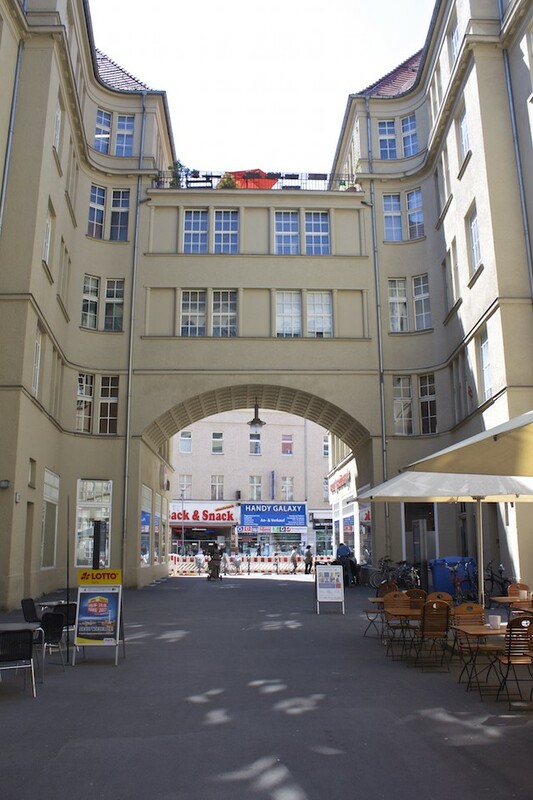 Later we walked through Passage Kino (Karl Marx Str. 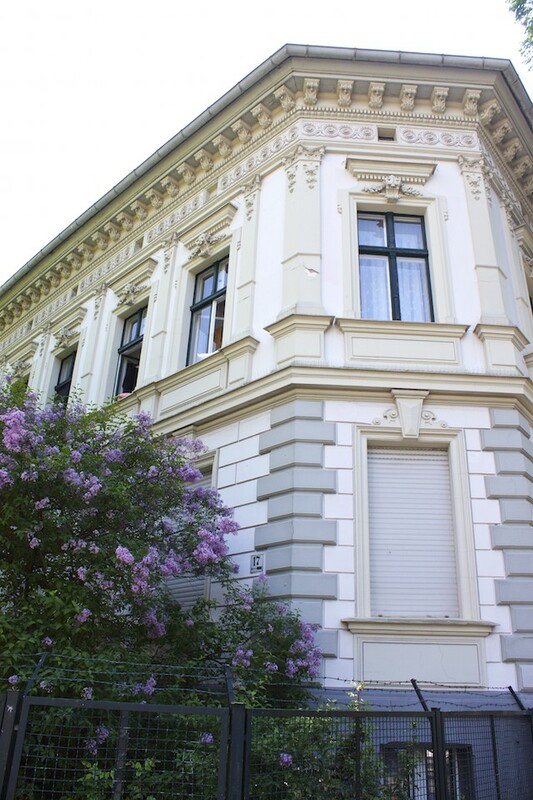 131) and discussed the Neuköllner Oper (located at the same address), an alternative theater producing up to 12 contemporary performances per year, all at an affordable price for the local community. Although we didn’t go inside to the pool area, we quickly stepped inside the Stadtbad Neukölln (Ganghoferstr. 3), one of the most beautiful and historic public pools in all of Berlin.Come here to feel as if you’re bathing like a Roman, or if you’re game for some romantic indulgence, come on the weekends when they have their “romantic swim” complete with mood music and candlelight. As our urban exploration took us through the streets of Rixdorf, I took lots of snaps of spring unfolding in Berlin. I want to live in this building! Just look at those blue balconies. 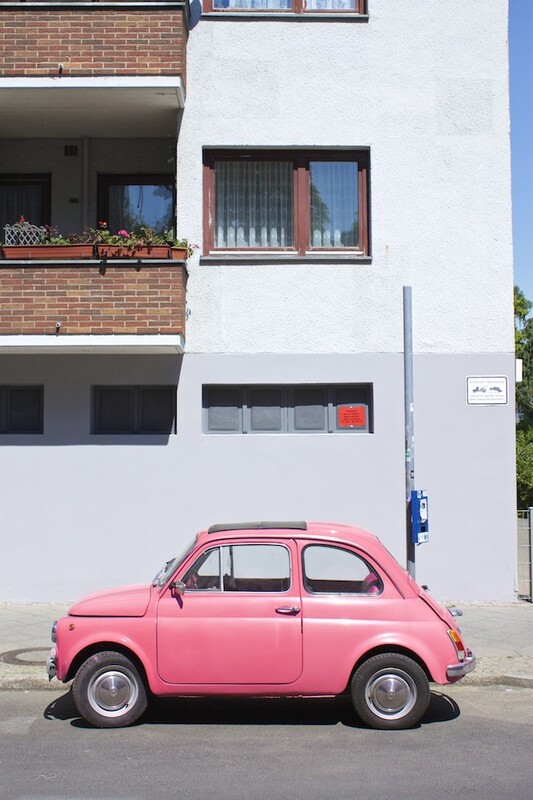 This pink Barbie coloured Fiat has seen a lot of action on Instagram recently. CocoLiebe (Richardstr. 107) has a specialty and that’s pizza with an international flair. Lebanese owner, Karim A Khatib, has travelled all around the globe and he carries these influences into his pizza offerings which range from savoury to sweet. Vegan and gluten-free options are also available. 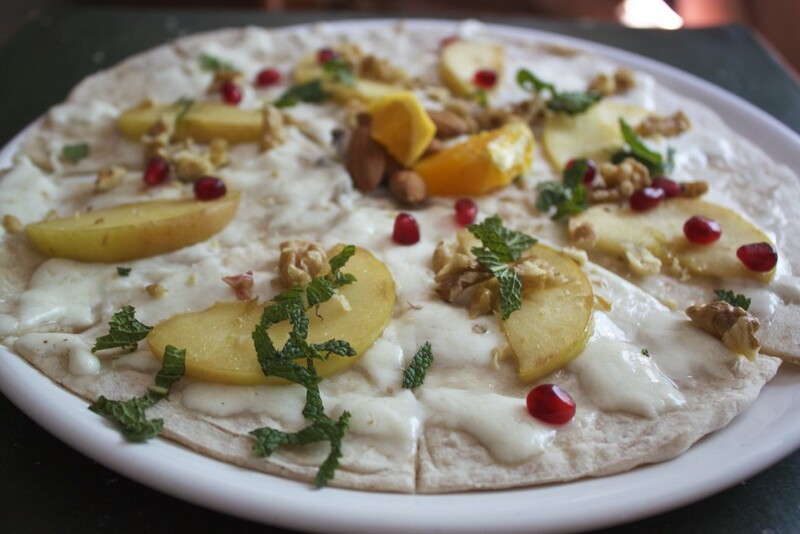 Our group sampled this pizza with pear, pomegranate seeds, feta cheese, and walnuts. 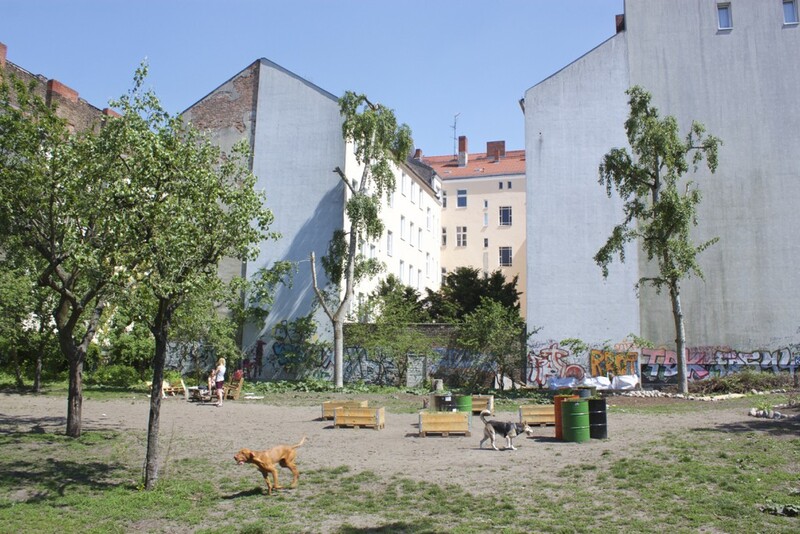 1) You can do this same Berlin walking food tour in Neukölln with eat-the-world in either English or German. You can also experience this tour if you’re vegan – simply state your culinary preferences during the booking process. 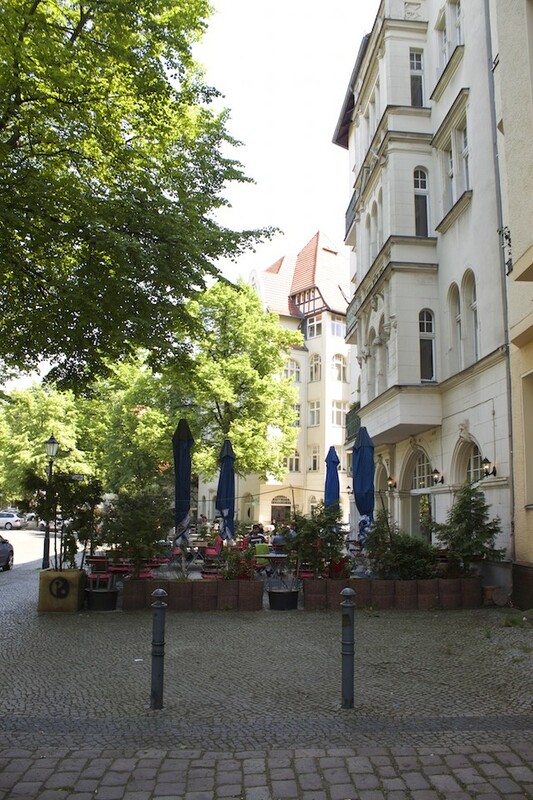 2) To walk and eat your way through even more of Berlin, check their complete list of Berlin tours. 3) Your average tour will run you about €33 per person and last 3 or so hours. 4) For even more ideas about what to do in Berlin, read 10 Cool and Alternative Things to Do in Berlin (That Won’t Break the Bank) and our more general list of Things to Do in Berlin. 5) For everything else Berlin, check our ultimate Berlin guide with tips on where to learn German, make friends, and how to find a job. * Disclosure – In order to feature things to do in Berlin for both travellers and fellow expats, I collaborated with eat-the-world. As always, any opinions expressed here are entirely my own. My kiez! 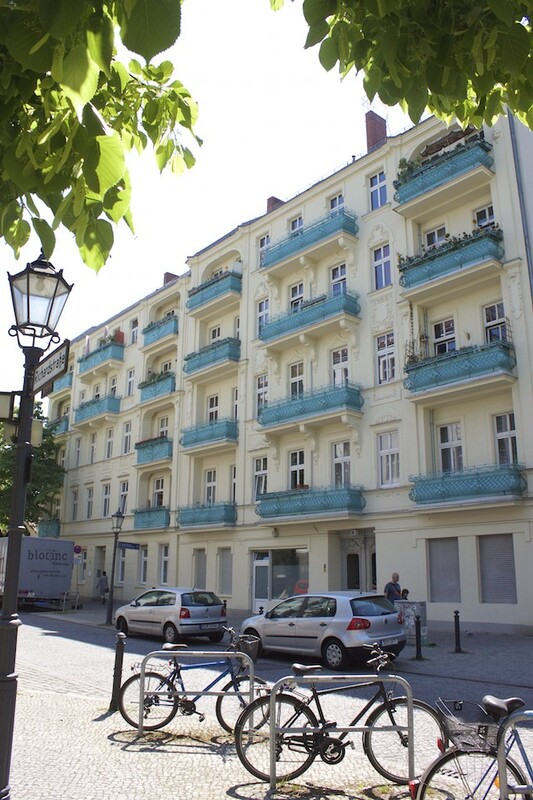 <3 Yes, I love those blue balconies – I walk past them almost every day and am very envious! Wow, this sounds great and was making my mouth water reading it! I’d love to try this when I am next in Berlin. I totally agree, doing a food tour is such a great way to understand what makes a city. This is so cool! I did a food walking tour in Vancouver and it’s a great way to explore the city. Will mark that for Berlin! Lovely post, Berlin is indeed beautiful. Thanks for your nice comment David! Yeah, Berlin can be a little rough around the edges, but it definitely has very beautiful parts (like Rixdorf) as well. Does the tour run in the winter months? I love food tours and I’ve done loads of them in Asia. The next time I go to Berlin. I’ll be sure to look for this one. 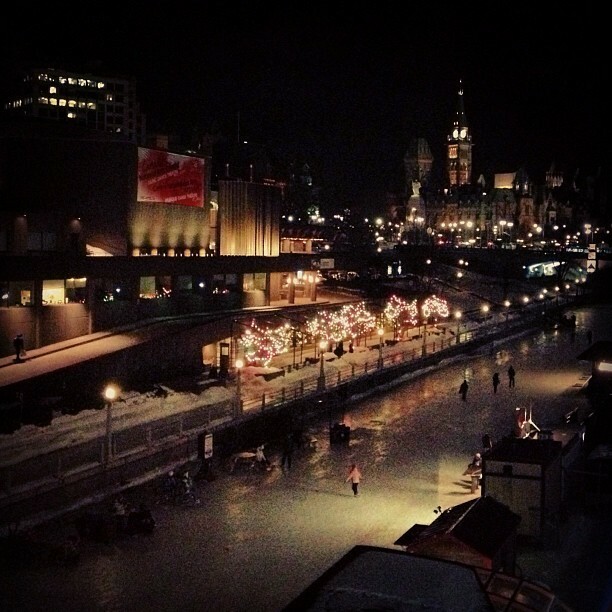 Thanks for the great photos that you took.